BERLIN (Bloomberg) --Daimler AG's Mercedes-Benz said it will achieve its 2010 sales goal after posting record sales last month on demand in Germany and China for E- and S-class sedans. Mercedes deliveries in November rose 19 percent to 105,200 cars and sport-utility vehicles, as sales grew by more than 10 percent for the 13th straight month, the automaker said. Including the Smart mini-car brand, which recorded a 27 percent drop, Daimler's sales rose 14 percent to 112,300 in November. Eleven-month deliveries, including Smart, rose 13 percent to 1.15 million. “We continue to be confident for the remaining weeks of the year and will fulfill our forecast to grow by at least 10 percent with Mercedes-Benz passenger cars this year,” Joachim Schmidt, head of sales, said in a statement. Luxury car demand is snapping back from the financial crisis on growth in China and a rebound in the U.S. Mercedes is also helped by the resurgent economy in Germany, its largest market. Mercedes' sales in Germany last month rose 22 percent to 27,700 vehicles. The brand's overall sales in western Europe rose 11 percent to 50,900 cars. Mercedes deliveries in the U.S. gained 8 percent to 18,200. Sales of E-Class sedans and station wagons have climbed 48 percent to 229,800 this year, while demand for the flagship S-Class gained 27 percent to 59,700. In China, sales gained 68 percent to 14,600 cars last month, after more than doubling earlier in the year. Sales in the world's largest auto market totaled 130,100 vehicles through November, surpassing Mercedes 2010 target of 120,000. Smart sales were burdened by “sharp” declines in its segment, Daimler said. The brand, which consists solely of a two-seat city car, sold 7,100 vehicles last month. 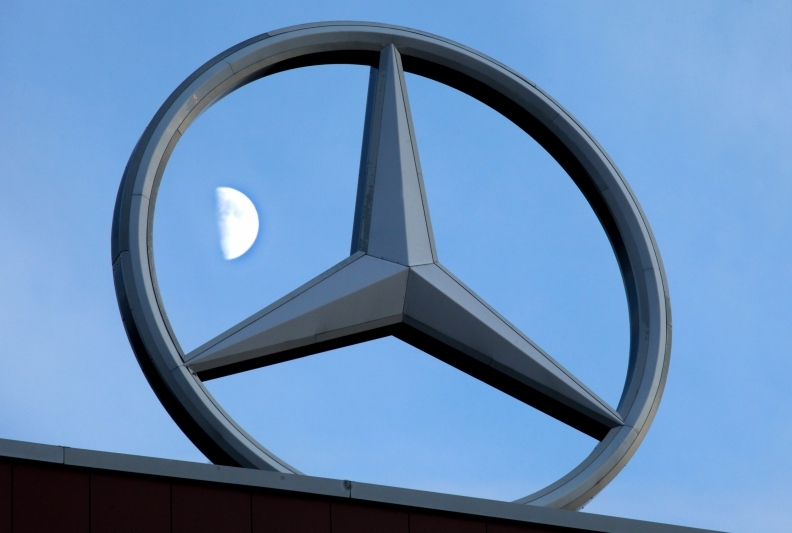 Deliveries, which Daimler targets to reach 100,000 in 2010, totaled 89,900 through November.